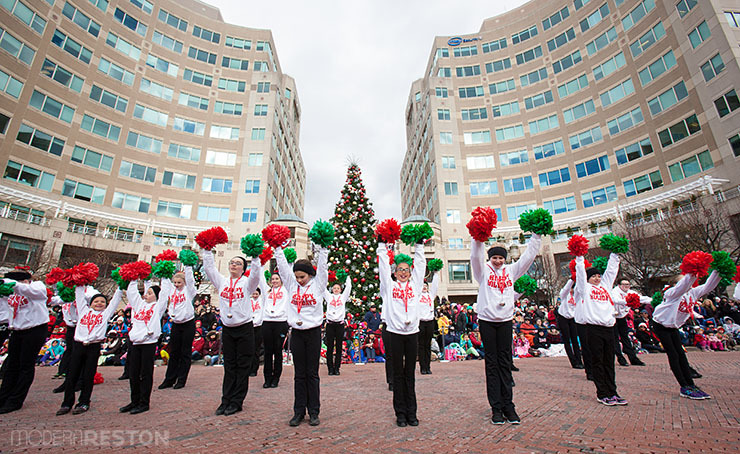 Reston Town Center greets the winter holiday season with a huge parade on Friday, November 27, 2015. The centerpiece of Reston Town Center’s winter season is its beautiful ice rink, and it returns this month! It will be open seven days a week until March. This is one of Reston’s classic family activities, with something for every age, including Rock ‘n Skate on Fridays and Cartoon Skate on Saturday mornings. Skate rentals, lessons, and private parties are available. Come out and enjoy the rink while the temperatures are still mild. 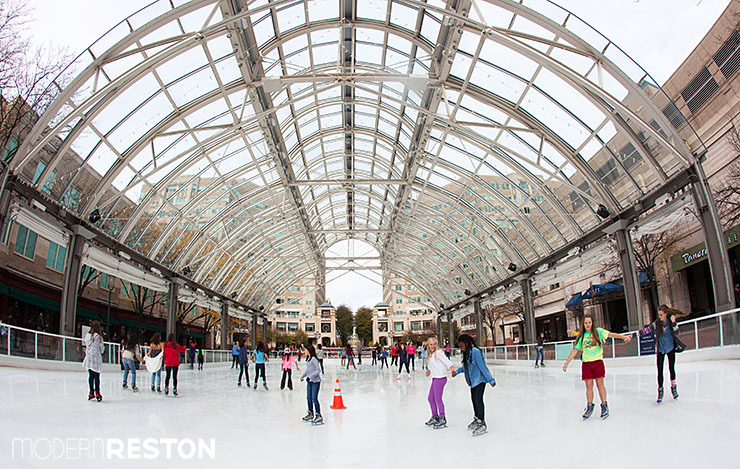 Reston Town Center’s Ice Skating Pavilion opens for the winter season on November 1, 2015. Patrons, businesses, and organizations are encouraged to drop off non-perishable food and other items from November 1–23 at the Reston Community Center Hunters Woods and Lake Anne facilities, the Greater Reston Chamber of Commerce, as well as a variety of other drop-off points throughout the community. Refer to their list of items needed. Come for a free movie under the stars. There will be food trucks and fun for the whole family. Beer and wine will be permitted on premises. In the event of inclement weather, the movie will be shown indoors. FREE. For children of all ages! The Reston Players are open their 49th season with the Tony Award-winning fairytale adventure, Shrek the Musical, based on the Oscar-winning DreamWorks film. Tysons Corner Center will be celebrating the opening of its ice rink, as well as the kickoff to their 2015 Winterfest. This free family event at Tysons Ice Rink begins with Buy One Get One Free skating from 3-7pm. The fun continues with music from DJ Civil as you skate with Slapshot and The Red Rockers starting at 6pm. From 6:30-7:30, take a break from the ice and line up for a free Meet and Greet with Washington Capitals Defenseman, Karl Alzner. There will also be a raffle to win a Chef’s Table Experience from Earls Kitchen + Bar. Shop for the holidays or browse the local market. There will be fall plans, Thanksgiving centerpieces, a raffle, a silent auction, jewelry, skin care, a bake sale, BBQ, a henna artists, and more. Want to learn how to Skype or just use the basic commands of your personal technology device? Stop by the 55+ Technology Fair to have questions answered about any device, new or old. There will be volunteers at stations to assist attendees with technology questions from flip phones to iPads and computers. Come learn the basics or advanced tips from the experts – Reston’s very own teens. FREE. The Reston Community Orchestra launches their 28th concert season with a tribute to one of opera’s greats. Featuring pianist and tenor Carlos Alberto Ibay. Admission is FREE, but please bring canned goods to contribute to Reston’s Thanksgiving food drive. Jazz vocalist Kitt Potter will perform to the backdrop of the Ethereal and Natural Reactions exhibit. Kitt will be accompanied by Wayne Wilentz (Shirelles, Marvelettes, SKYY) on piano, David Jernigan on Bass, and Douglas Richardson on drums. Tickets are $15. Reston Community Center (RCC) and Reston Historic Trust and Museum will present a free community screening of the documentary film Another Way of Living: The Story of Reston, VA. Director Rebekah Wingert-Jabi will introduce the film with brief comments on the process of editing and preparing it for submissions to festivals as the film has undergone significant change since its screening in April 2014. Following the screening, everyone is invited to enjoy light refreshments in the Community Room and share their impressions of the movie and the legacy of Reston’s founder, Robert E. Simon, Jr. FREE. 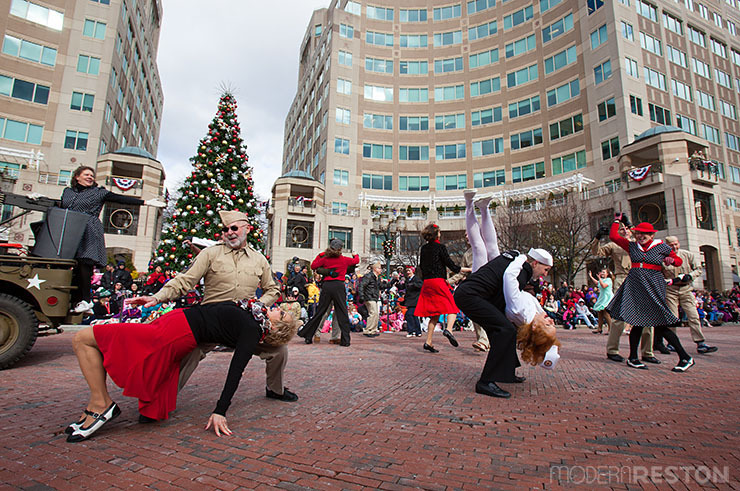 Reston Town Center will host a full day of winter holiday fun on the day after Thanksgiving.